Back in February, VillageReach purchased bicycle ambulances for a number of communities in rural Malawi. Before they had these bicycles, community members would often resort to making homemade stretchers to carry their loved ones to the nearest health facility. Needless to say, the communities are very excited to have the new bicycle ambulances. In June, I was able to go back to Malawi and visit three of the communities with the new ambulances. Welcomed by song and dance, I was incredibly excited to learn that the communities had formed committees to maintain the bicycleambulances and regulate their usage. The committees each had an appointed treasurer who gathered and secured funds to ensure that thebicycle ambulances would be well kept as a community resource. Of the three communities I visited, one community had used their bicycleambulance twice, another once, and the third had still not used theirs. While at first this seems like the bicycle ambulances are being underutilized, to me it reflected a real valuing of the bicycle ambulances;the communities were not allowing them to be abused and were reserving them for truly grave emergencies. This was a perfect (and heartening) example of real community buy-in, which at the end of the day is one of the few variables that can really support true sustainability. VillageReach rated as top charity by GiveWell! We are excited to annouce that VillageReach has been rated as a top charity by GiveWell. GiveWell is an independent, nonprofit charity evaluator- founded by two ex-hedge-fund analysts, GiveWell brings a metrics-based business mentality to the table with their rigorous and thorough analysis of charities. It is incredibly refreshing to be asked about more than just our overhead to program ratio- as Anne mentioned in a prior post, we’re always thinking about what metrics we should be measuring our work by and how best to share our successes with our supporters. We’ve been working back and forth with the guys from GiveWell for the past couple of months and been thoroughly impressed with the amount of work they put into each analysis they do. We are incredibly proud to have passed their high standards! So who is paying attention to medical distribution systems and more specifically to the innovation pile-up we highlighted in the last post? There are 4 main categories of players: Governments, NGOs, multi-lateral organizations (WHO, UNICEF) and public-private alliances. While there are many, many important and interesting stakeholders in the field, the most interesting evolution over the last decade has been the ways these groups cross boundaries to find creative ways to work together. When Global Alliance for Vaccines and Immunization (GAVI) was established in 2000, it had an enormous impact on the field of vaccines. GAVI refocused attention on vaccine-preventable diseases which waned in the 90’s after the highly successful immunization campaigns of the 70’s and 80’s. And as a public-private partnership funded by donor governments and private organizations such as the Bill & Melinda Gates Foundation, it brought serious financial resources to the table (over $2 billion of net assets in 2007). 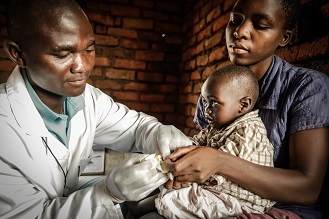 Currently, GAVI supports 72 low and middle-income countries in vaccine financing and procuring. While considerable resources at GAVI have been directed towards augmenting the supply of existing vaccines and developing new vaccines, GAVI and its stakeholders are increasingly beginning to consider the inadequacies of the health systems into which these vaccines must enter. One particularly interesting initiative is The Optimize Project, a joint collaboration between the WHO and PATH. The Optimize Project seeks to identify and advocate for the “immunization systems and technologies for tomorrow.” Funded by the Gates Foundation, the Optimize Project is a recognition that discovery and development of vaccines is only half the battle. Here at VillageReach, it has been exciting to see the development of enthusiastic recognition and articulation of the problems of logistics at theLast Mile. Welcome to the VillageReach blog! This blog follows VillageReach’s progress as well as interesting ideas, projects and events at the intersection of health with social enterprise, technology & logistics. We ’re launching with our thoughts on the “Innovation Pile-up.” Chris Elias, the Executive Director of PATH, coined this phrase to describe the coming challenge facing public health systems around the world as years of medical research and development, particularly for vaccines, come to fruition. When VillageReach started working in Mozambique in 2001, we found there was no system for distributing medical supplies beyond the provincial level … a situation that’s unfortunately the norm in most developing countries. The Mozambique system was chaotic and under-resourced in 2001. Since then, the world has begun to invest heavily in new medical products, such as vaccines, to address the huge disease burden affecting developing countries. Governments, international organizations, and private charities have spent trillions of dollars in research and development of new products. But new opportunities bring new challenges. The new vaccines just starting to become available are much more expensive and are physically, much larger. For example, polio is a basic vaccine administered around the world today. Twenty doses of polio fit in a vial about the size of your little finger. At 13 cents per dose, the vial is worth only a few dollars. A twenty-dose, polio vial doesn’t take up much room in the refrigerator, and if the distribution system ruins a few vials, or has a few leaks in it, then the loss is not huge. In contrast, one new vaccine to prevent rotavirus, a stomach bacteria that kills thousands of children every year, costs $5 and is the size of your fist. The HPV cervical cancer vaccine is expected to be priced between $50 and $100 per dose in developing countries. The malaria and HIV vaccines, which we hope are coming soon, are also likely to be very expensive. Current distribution systems are overwhelmed now; the new products will swamp them. Unless we invest in improving the ability of developing countries to handle these new products, trillions of dollars of investment will be wasted and, more importantly, children in those countries will once again, be passed by. While we can get excited about new product developments, and rightly so, we can’t forget that our job is not done, until drops are in mouths, and needles are in arms.